One of the most beloved destinations for a family vacation is San Diego. After all, there is plenty to do and see for the whole family here. There are plenty of attractions that are equally fun for the adults as well as the children in this sunny Southern California town. There are beaches, parks and loads of wildlife that are equally loved by all. 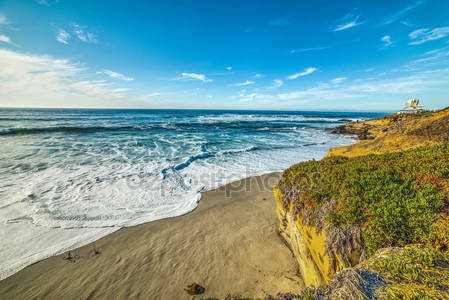 Just browse some of the leading and most affordable San Diego vacation rentals and get the best value for your money. You can stay at any of those rentals and enjoy easy and convenient access to major tourist attractions there. It is a good idea to think about buying San Diego Card sightseeing pass and enjoy the best of those attractions at lesser costs. Here are the leading San Diego attractions for the whole family! At San Diego, you will come across some of the most beautiful beaches in the world. A good example of this is the Coronado Municipal Beach; it is a big favorite as it offers plenty of picturesque views and a calm ocean. Coronado Island is exceptionally clean and is popular for surfing in the summer. The main beach runs along Ocean Boulevard, and the calm surroundings are just perfect for the whole family who plan to spend the day at the beach. Children would love to play on those white sands, while the adults can join them in their search for seashells. Even if you are not planning to go to Coronado, there are plenty of other beaches in the San Diego County that are just as gorgeous. La Jolla Beach, with miles of flat sand and calm oceans, is ideal for families. You can learn how to kayak and surf or even opt for scuba dive or stand-up paddleboard. You can swim with leopard sharks during the summer as well. San Diego is loaded with cultural and recreational facilities and some fantastic parks. Balboa Park is a must-see, and the entrance is free! There are museums, zoos, cultural centers, miniature railroad ride and a carousel, all within the park. You can wander around the Botanical Building or enjoy a presentation at one of its theaters or take in an outdoor organ concert. Thanks to the free tram, you can easily tour the park and enjoy its numerous attractions. 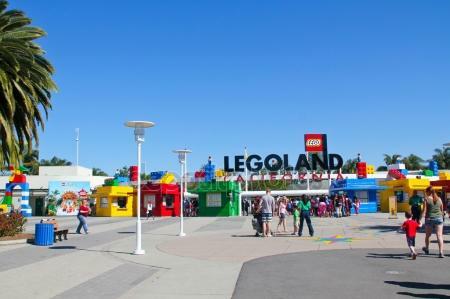 Legoland is another major attraction for the family. It is perched on a hill that overlooks the Pacific Ocean. Everything in the park is built with Lego blocks, and it comprises of miniature models of famous cities and landmarks. Visit the Sea Life Aquarium that offers a hand on educational tour as you walk through the tunnel. Look at the different sea creatures swimming right in front of your eyes. It truly is an amazing experience to look at the sting-rays. Mission Bay Park is spread across thousands of acres and carries miles of shoreline. There are various temptations for the whole family such as volleyball courts, horseshoe court, fire rings, children’s play areas and picnic areas. Enjoy biking, roller-skating and jogging with your children in the park that houses several wildlife preserves. Thus, it is already a favorite with birdwatchers. You can even camp here and try your hand at water skiing or wakeboarding. Another favorite is the Belmont Park, which is the only beachside amusement park. Its major highlight is the original wooden roller coaster, the Giant Dipper, and the largest indoor heated pool, the Plunge. There are a massive fitness center and an indoor playground within the park. If you are an animal lover, then head straight to SeaWorld. There, you’ll get the chance to watch the antics of walruses and barking seals or the polar bears taking an icy plunge. You’ll also get to see the shark and the penguins in their icy habitat. There are exciting rides for the children in SeaWorld, too, such as the Shipwreck Rapids, Wild Arctic Encounter and Journey to Atlantis. Take the ride to the Sky Tower to get unforgettable views of the Pacific Ocean and San Diego. There are plenty of tours that will offer you up-close and personal interaction with different sea creatures. 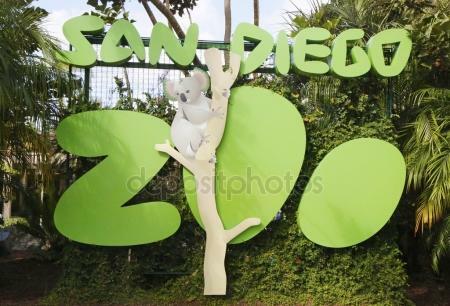 San Diego Zoo is world-famous and showcases hundreds of animal species that are rare or endangered. Animals can be seen in their natural environments that have been specially designed. For example, the polar bears are seen living in the Polar Bear Plunge, while the Malaysian tiger families can be seen roaming around grassy canyons. Both adults and children can benefit from a trip to the zoo and see for themselves any of these conservation programs. One will enjoy looking at the rhinos tending their young or get the chance to feed a giraffe or enjoy watching an elephant herd splashing in a pond. A tram takes one across acres of carefully-designed, African-themed areas that shelter thousands of animals. Kids are always hungry, so when you travel with your little ones, you need to know where to take them to satisfy their constant hunger pangs. San Diego has a lot of options to offer. Don’t miss the huge donuts at Donut Bar and Golden Donuts. Campfire’s outdoor patio is undoubtedly a favorite as it has kid-friendly options on the menu, like pork with rice or grilled cheese. At Crack Shack Encinitas, children can order their own special meal deal of chicken nuggets with fries along with a small drink. Classics Malt Shop is another favorite if you’re looking for lively atmosphere and a classic American fare of hot dog, hamburger and ice cream. This entry was posted in Balboa Park, Belmont Park, Coronado Municipal Beach, La Jolla Beach, Legoland, Mission Bay Park, San Diego, San Diego Vacation Rentals, San Diego Zoo, Sea Life Aquarium, SeaWorld, Tourist Attractions. Bookmark the permalink.